When American World War I pilot Steve Trevor (Pine) crashes into the ocean near the legendary island paradise of Themyscira, he finds it inhabited by a group of highly trained female warriors called Amazons. 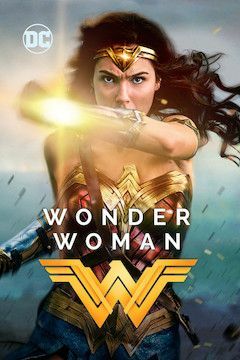 After she learns about the conflict consuming the world outside of her home, the Amazonian princess Diana (Gadot) is determined to put an end to the killing. She returns to London with Steve, where she struggles to fit in among the other women. In taking the fight to a deadly enemy, she begins to discover the truth behind her abilities, and starts her journey to becoming Wonder Woman. After a First World War pilot crashes near a mythical island, he meets a race of warrior women who live there. Their princess leaves with him to help stop the war raging in the outside world, setting out on the path to becoming the legendary Wonder Woman.